By now we all know that earlier this month a man in California was informed he was dying via a robot. Early headlines had people (at least the ones who only read headlines) thinking that a robotic doctor rolled into his room and told him in a monotone robotic voice that his days were numbered. The truth is, he was told by a doctor attached to a video screen on the machine via live-stream. That didn’t make it any easier for 78-year-old Ernest Quintana or his family, of course, and Kaiser Permanente Medical Center has had to do some serious PR to redeem their reputation as a center for compassionate care since the incident went public. Quintana had chronic lung disease and had been admitted to the hospital multiple times over the previous two weeks. His family knew he was dying, but were not expecting his remaining time to be so short. He passed away the day after receiving the news. In a statement, Kaiser Permanente claimed that the visit in question was merely a follow-up and that the bad news had actually be delivered earlier that day in person. 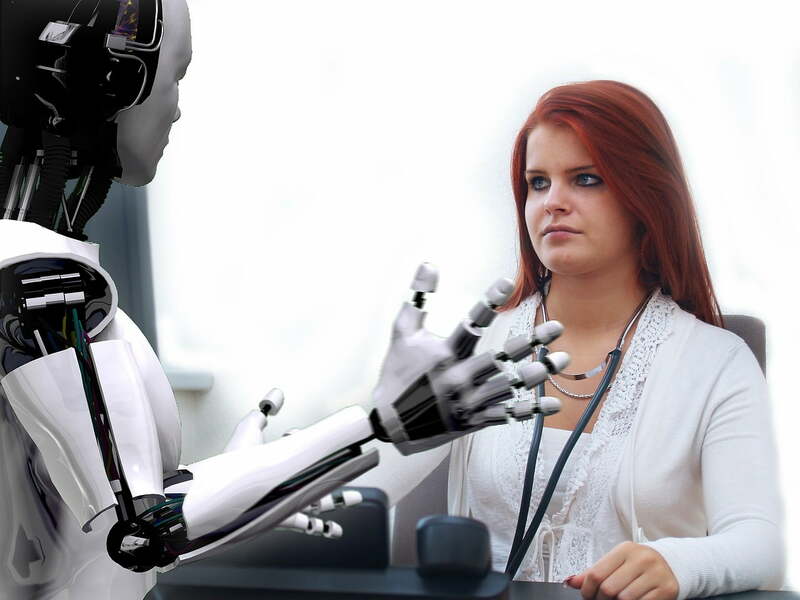 Furthermore, the hospital does “not have robots that have medical discussions with patients or deliver terminal diagnoses” and that there is always a nurse or other physician in the room during all video conversations. Regardless, it’s clear that Quintana’s family does not think the facility met the standard of care there were expecting. If anything good comes of this situation, it’s that we’ve now been given the opportunity to think hard about how we are using telemedicine and what we can do to make it more humane. For decades, telemedicine has helped us solve a number of problems faced by our medical system, particularly in the U.S, such as a shortage of doctors, decreased time spent with patients due to insurance company demands, and sparse access to medical facilities in rural areas. Allowing medical professionals to interact with patients over telecommunications devices such as phones and computers (the definition of telemedicine) has increased access to care not just in the U.S., but all over the world. Telemedicine also promises to reduce costs, enhance patient-physician collaboration, improve health outcomes, and increase patient satisfaction and multiple studies appear to back this up. While these are all good things, it’s clear that the implementation of the technology is outpacing the policy guiding it if patients like Quintana and their families are still shocked and devastated by these interactions. Many writers have called for better policies over the last week in light of the news. They include getting specific consent from patients, especially when delivering life-changing news and dealing with end-of-life care; limiting telemedicine conversations to situations in which it would be impossible to get care otherwise; and continuing to promote training on compassionate care in medical school and in continuing physician education modules. The American College of Physicians has also made multiple recommendations of the use of telemedicine, including recommending it predominantly in cases where the patient and physician have already established a relationship, or intermittently when acute care is necessary and it is the best available option. They also make clear that it should not be used regularly in place of in-person visits unless there is no other option. It’s not surprising to anyone who has been following discussions about the American medical system that simply slapping some new technology on it is not a good fix when many of the complaints it faces are about a lack of communication and compassion. Expect engineers to put thought into the design of a machine that could potentially interact with patients in their most vulnerable moments. Investigate the privacy issues posed by delivering care and processing medical information via this machinery. Research compassionate communication strategies for telemedicine, with the understanding that what may work in person will not work when a doctor is live-streaming from a screen. Mandate distinct training for physicians who will use this technology in order to make sure they utilize proper communication skills when dealing with patients. Establish guidelines for appropriate patient care using telemedicine so that patients understand what they can expect and how they can hold physicians and administrators accountable when they do not follow best practices. Collect more research on patient reponses to telemedicine under various conditions. Educate patients on the reasons for using telemedicine in specific situations using clear language, and allow them to opt out of telemedicine when possible. Do not automatically implement telemedicine based on small studies that show it increases patient satisfaction without understanding the specific contexts in which it may succeed or fail. Both doctors and patients face challenges – but can also benefit – with the use of this technology. And while plenty of research shows that telemedicine can be good, it’s not clear that this is enough reason to start implementing it everywhere, especially in facilities that have a full medical staff. Insurance companies and hospital administrators face unique challenges when it comes to budgeting for health care, but they stand at the very apex of responsibility for assuring that this technology is implemented appropriately. Every time we enter a new phase of medical care, we need to ensure that the policy keeps up with progress.